The other day, I was making lunch for my family. I’m now 24 weeks pregnant, and I’m anticipating my final trimester and the first months of breastfeeding. Just like in my last pregnancy, I’m beginning to crave eggs, milk, and nuts. I continued to crave that through the early months of breastfeeding, too. 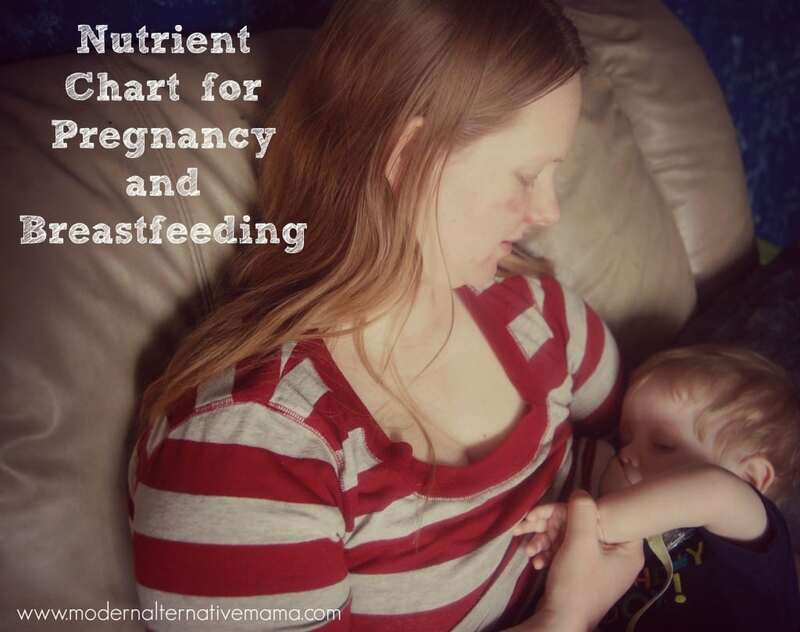 This made me curious about nutrition in pregnancy and in the early months postpartum. See, I had such a great experience managing my weight (without trying) and my anxiety in my last pregnancy, only to be thrown for a major loop postpartum. Some of that was the mold issue in our old home (so thankful we are not there anymore!) but some might have been what I didn’t know about nutrition yet. I’m very hopeful that by preparing in advance for postpartum nutrition that I will not experience anxiety and will experience relatively easy weight loss this time around. Plus, a baby’s brain development is fastest in the final three months of pregnancy and the first 3 – 6 months postpartum (continuing to be less rapid, but still quite important, until about age 2). Eating as well as I can to optimize baby’s brain development is also important to me. A couple days ago, I detailed several studies about the impact that nutrition has on these issues — postpartum hormone balance and baby’s health. If you haven’t read it, you’ll want to go do that right here. But, I know that was a lot to take in all at once. I wanted to simplify it all for you, which is why I created the chart below. It highlights the 10 key nutrients plus 2 important types of fatty acids that came up most often in the studies — the ones that were most important for baby’s and mama’s health. It also shows 13 important foods that contain several of these nutrients. This is really important because when you have “Mommy Brain” sometimes you just need something simple to tell you what to eat. This is it! Make sure you do read that first post though, which details why I choose these nutrients and these foods. I won’t rehash that here. By the way, this isn’t intended to make anyone feel guilty. Nor it is intended to say that if you eat these foods often you’ll prevent all possible problems and have a perfect experience. I’m interested in what’s “optimal” from a research-based standpoint, but we don’t live in a perfect world. It’s my hope that this will improve outcomes for everyone, but it cannot guarantee a perfect or even very good outcome, necessarily. It’s just important information. This chart specifically notes foods that are high in the key nutrients. I considered “high” to be 20% of the RDA or greater (typically labels consider 10% of the RDA “high”) and most often it is much, much higher than that. Let’s jump to the chart! So, probably some surprises there. Oysters? Sesame seeds? Liver? Yes. I hadn’t expected oysters either, but they kept popping up as the best source of the nutrients listed, so I had to include them. I can’t say I’ve ever eaten them! They’re expensive and uncommon. But, they are a rich source of a lot of key nutrients. Sesame seeds I wasn’t going to include either, but they, too, kept popping up as excellent sources. Then I remembered that tahini is just sesame seed butter, and there’s a lot we can do with that, so I included them too. A note on sourcing: these foods are not necessarily good sources of all of these nutrients if you buy them at a regular grocery store. Milk should be organic and grass-fed, eggs should be pastured, liver, chicken and beef should be pastured/grass-fed as well. I switched to grass-fed butter when my fourth was a newborn (Kerrygold) and I could feel and taste the difference…I’m too spoiled now to go back! Sourcing is so important especially with animal products if you want nutrient density…and you do. You need this, to be your healthiest, especially after the drain of pregnancy and breastfeeding. I know you need more help. What can you eat that contains these foods? That is actually yummy and easy? Let’s get to it! Munching on a handful of sunflower seeds probably doesn’t sound fun to you. At least, it doesn’t sound fun to me. But there are, in fact, some very easy and very yummy foods you can eat that contain many of these superfoods. And they’re easy and you can keep them on hand for quick meals and snacks — which, believe me, you will need in those early weeks postpartum. You will be starving but too tired to cook. Hummus contains garbanzo beans and sesame seeds (tahini), two important superfoods on this list. It will keep in the fridge for several days. Serve it with your favorite fresh veggies, or with homemade pita chips. This is one of my favorite postpartum meals because I just love them, and they toast up so well. They contain soaked whole grains (the soaking is very important because unsoaked whole grains can block the absorption of magnesium, zinc, and other key minerals, which is kind of the opposite of what we’re going for here), butter, milk, and eggs. You can put a lot more butter on top, too. I like mine just barely sweet and without syrup (I’m not a big sweets-for-breakfast girl). It will take an hour or so to make a big batch of these, but once they’re done and frozen they are toasted and ready in minutes. Even helpers who don’t cook can’t mess that up. Try this Lemon Poppy Seed Waffle recipe! I buy mine from a local farmer’s market. It contains liver, pork, and spices. It’s he only way I like to eat liver. I serve it on crusty sourdough bread (sourdough, like soaked bread, won’t block mineral absorption) with mustard. Super quick and easy. Mix 1 c. whole, raw milk with 2 egg yolks, 1/4 c. cocoa powder (also a good source of magnesium and copper), 1 – 2 tbsp. maple syrup (good source of zinc) and enough ice to make it thick. Toss in some walnuts if you like, about 1/2 c. This will make 3 – 4 cups of a delicious, very low sugar milkshake that is great for breakfast or snack. Toss together some fresh spinach leaves with grilled shrimp, chopped walnuts, and your other favorite veggies and dressing (preferably one based on olive oil or avocado oil — both of which are also excellent). Make stew with homemade bone broth, dark meat of your choice (grass-fed beef or dark chicken meat), beans, spinach, and whatever other veggies and spices you want. A thick chili would be nice, or an Indian-spiced stew. Get creative with it. This could freeze well too in individual portions. These are just a few of my favorite foods. Of course, feel free to experiment with your favorites, too. I’ve read about avocado deviled eggs, ethic foods (especially Indian, using tahini and garbanzo beans), simple hard-boiled eggs, jerky, seaweed, sushi, and so much more. Whatever you like! I also do homemade liver pills (really, they’re easy) and cod liver oil as supplements. This helps cover all my bases! Do you strive for excellent nutrition in pregnancy and breastfeeding? Any surprises here? Hey! So I just wanted to mention that other greens are actually much better for you than spinach, especially those u harvest yourself such as purslane, lambsquarters (wild spinach), dandilion, Etc! The spinach we’ve bred to be uniform that we get in the stores has very high levels of oxalates, which isnt nesessarily bad except if you consume lots of high oxalate foods it can build up. Anyway, one that’s good to grow would be collard greens and chard! Hi Kate! Thank you so much for your article. You are always so informative. I don’t have Facebook, Twitter or pintrist. Is there any other way to download the chart? It’s so funny because I am craving almost every one of this!! Specially the beef, dark chicken and garbanzo beans. Our bodies are so wise! !